Mike Goldberg had his spidey senses tingle on Saturday night. Instead of warning Goldberg he was in danger, Goldie’s senses warned him that something ‘virtually identical’ was happening in the MMA world. 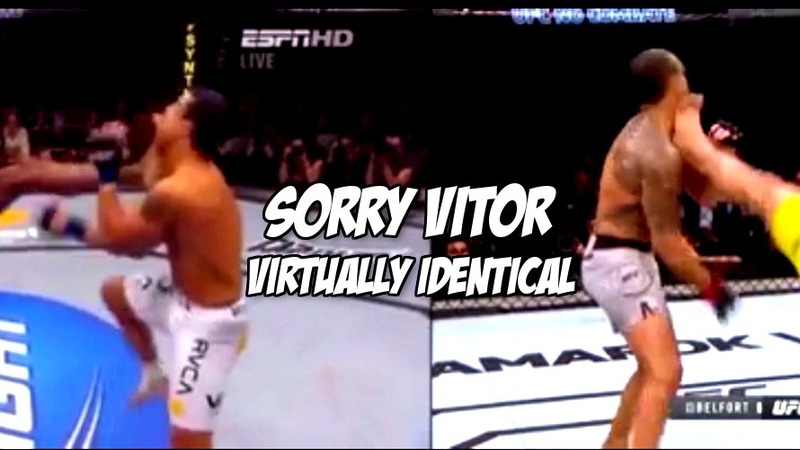 Vitor Belfort got front kicked directly in the face, so Mike Goldberg could discover he has MMA superpowers. UFC 224 was actually Goldie’s origin story. Now watch this video of The Spider and The Dragon front kick KO-ing The Phenom and be amazed how it syncs up in real-time.